By far the best and most enjoyable Grouplove album to date. It's simple and sometimes silly, but it suits these guys well. It's not like they were ever groundbreakingly creative. This is just the perfect album to learn the words and sing along to in the car as summer fades. Chill out everyone, there's nothing wrong with a bit of pop rock. "Oh no it reminds me of shopping > !!!" - even shopping can be fun sometimes. This is an exquisitely produced album, nothing exceptional, but hard to pick a bone with. A truly big mess full of Indie Pop-Rock-Electronica anthems that make one feel like they are stuck in some circle shopping at Old Navy and Urban Outfitters while watching the newest phone or car commercial or sick sports montage on repeat. Big Mess draws up memories of shopping or watching playoff sports rather than conveying a powerful or memorable musical effort. Every turn is predictable and the production is just ever so squeaky clean. These guys want their songs to get stuck in your head and the only reason they ever would is because they will be found in TV advertisements. 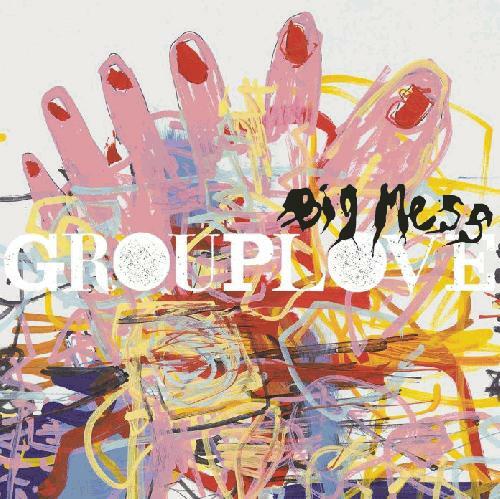 Perhaps this music is something that people party or have a grand old time to but beyond that there isn't much to see from Big Mess by Grouplove. Is this what MGMT and bad, late-career Modest Mouse has led to?